CHILDREN and young people will be able to learn more about Bristol’s successful 1963 Bus Boycott thanks to Downend School. 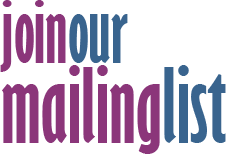 History teacher Jane Bolam has researched and created new learning resources about the campaign. She was assisted by A-level history and politics students Priya Kaur and Sean Jones, both 18, who were among those who carried out interviews with the boycott’s leaders. The study packs for primary and secondary school pupils, commissioned by the Mayor George Ferguson, were launched at the MShed at an event featuring two of the original campaigners, Paul Stephenson and Roy Hackett. Priya said that doing the research had brought to life their studies of the civil rights movement in America. The Bristol Bus Boycott was a non-violent campaign to change Bristol Omnibus Company’s employment laws, which at the time discriminated against black, Asian and minority ethnic (BAME) people by refusing them employment as bus drivers and conductors. The policy was entirely legal in 1963 but a small group, led by Dr Stephenson, decided to take a stand, after Guy Bailey, a Jamaican new to the UK, was openly refused a job by a manager at the bus company because “we don’t employ black people”. Dr Stephenson, inspired by the equality campaigns of Martin Luther King in America’s South and the actions of Rosa Parks, urged a boycott of the service until the policy of discrimination was ended. Pickets of bus depots and routes were part of the strategy, with blockades and sit-down protests organised on routes throughout the city centre. Gradually public opinion in support of the campaign grew. On 28 August 1963, the same day that Martin Luther King delivered his momentous “I have a dream” speech in Washington DC, Bristol Omnibus Company declared a change in policy there would now be “complete integration” on the buses “without regard to race, colour or creed”. By September the company had its first bus conductor from the BAME community. Dr Stephenson believes that the Bus Boycott campaign helped shape the Race Relations Acts of 1965 and 1968, which banned discrimination in public places and in employment. 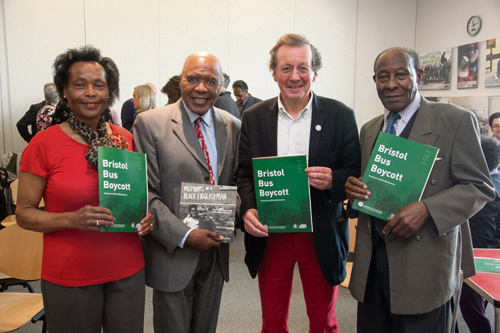 The Mayor said: “The Bristol Bus Boycott campaigners showed great courage in standing for equality at a time when the majority view was still, shockingly, against them. “Their victory against injustice not only contributed to a more enlightened city, which welcomes and champions diversity but inspired others in the civil rights movement.